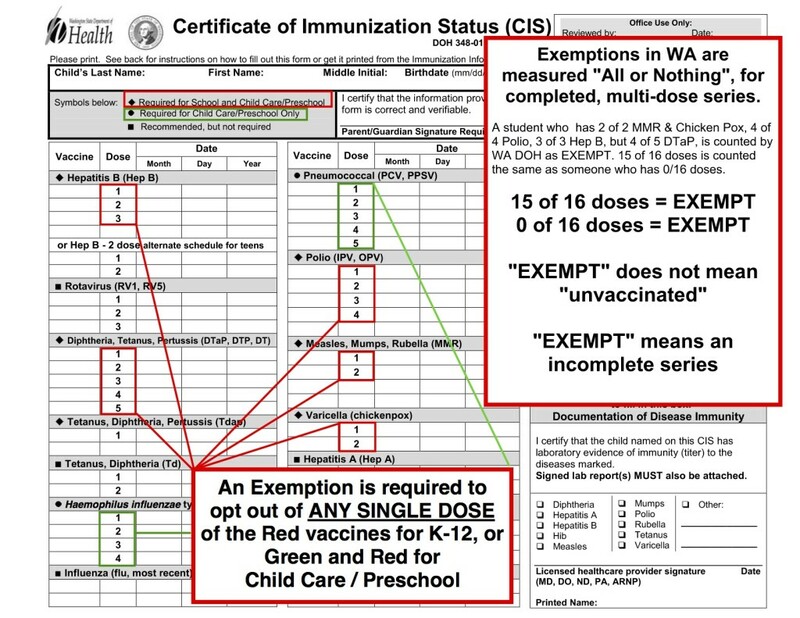 In Washington, an exemption does not mean unvaccinated. 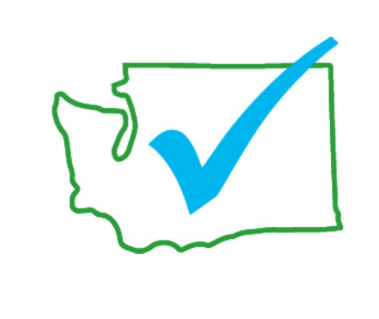 Only 4.1% of Washington students have a non-medical exemption on file*. An exemption is required even if only one injection in a series is missing. Washington requires 16 injections; a student with 15 of 16 injections, and a student with 0 of 16 injections both file an exemption. 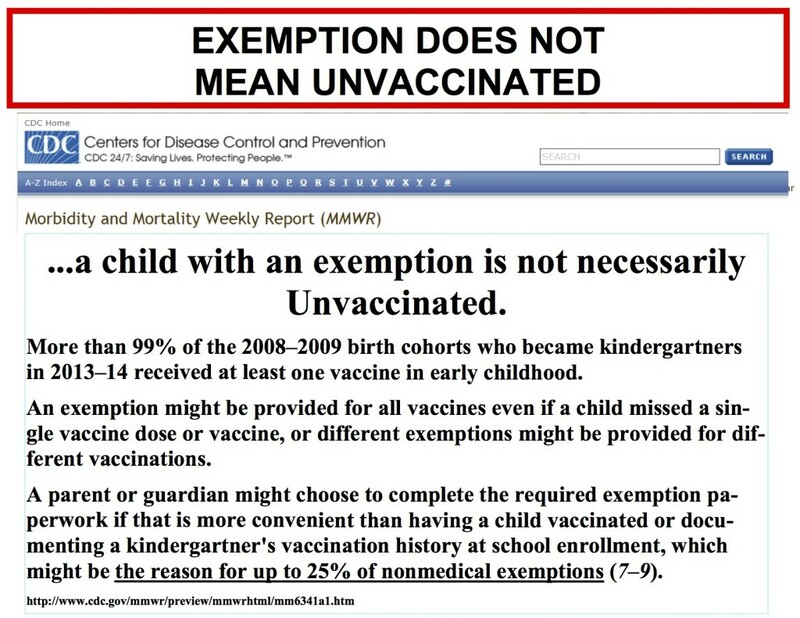 Very few children have exemptions for all vaccines. 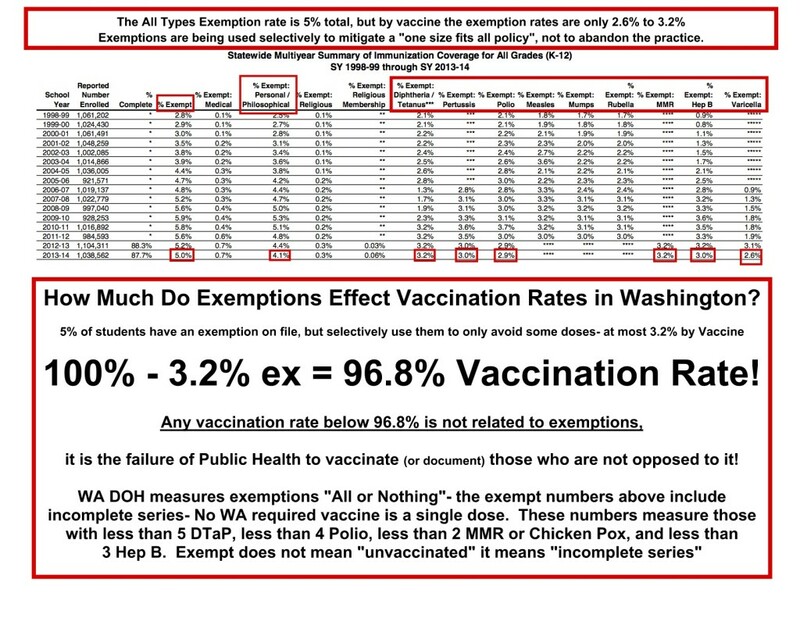 The rate of exemption for individual vaccines varies from 2.6-3.2%. So any individual vaccine has at least 96.8% compliance.